When Jack Morgan opens the Mumbai branch of Private, the world’s most elite detective agency, he hands the reins to top agent Santosh Wagh. Now, in this teeming metropolis of over thirteen million people where the guilty have everywhere to hide, Santosh goes on the hunt for one elusive killer. A killer who is targeting seemingly unconnected women and placing strange objects at their death scenes in a series of chilling rituals. As the Private team races to find a link that will lead them to the next victim, an unseen menace threatens to destroy the agency from within-and plunge the city into chaos. With countless lives hanging in the balance, Santosh must confront the demons of his past . . . before Private India meets an explosive end. After a serious professional stumble, attorney Trevor Mann may have finally hit his stride. He’s found happiness with his girlfriend Claire Parker, a beautiful, ambitious journalist always on the hunt for a scoop. But when Claire’s newest story leads to a violent confrontation, Trevor’s newly peaceful life is shattered as he tries to find out why. Chasing Claire’s leads, Trevor unearths evidence of a shocking secret that—if it actually exists—every government and terrorist organization around the world would do anything to possess. Suddenly it’s up to Trevor, along with a teenage genius who gives new meaning to the phrase “too smart for his own good,” to make sure that secret doesn’t fall into the wrong hands. But Trevor is about to discover that good and evil can look a lot alike, and nothing is ever black and white: not even the truth. You are about to begin one of the classic American novels of suspense by the world’s bestselling author. It begins with three terrifying murders in the South. It ends with a relentless and unforgettable manhunt in the North. In between is the riveting story of a chilling assassin, the woman he loves, and the beloved leader he is hired to kill with extreme prejudice. 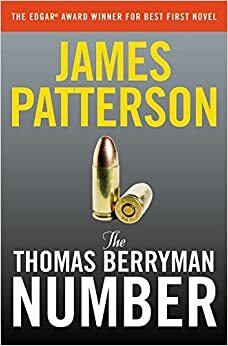 Not even Emmy’s ex-boyfriend, field agent Harrison “Books” Bookman, will believe her that hundreds of kidnappings, rapes, and murders are all connected. That is, until Emmy finds a piece of evidence he can’t afford to ignore. More murders are reported by the day–and they’re all inexplicable. No motives, no murder weapons, no suspects. Could one person really be responsible for these unthinkable crimes? 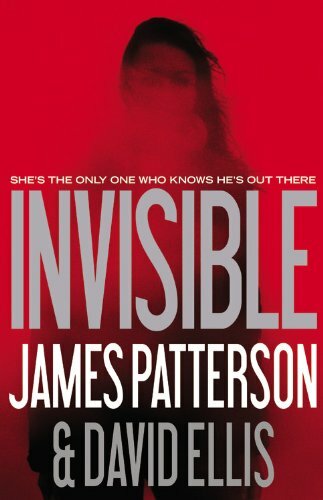 A breakneck-paced thriller with twists that will keep you holding your breath until the final, astonishing pages, INVISIBLE is James Patterson’s most shocking stand-alone novel yet. 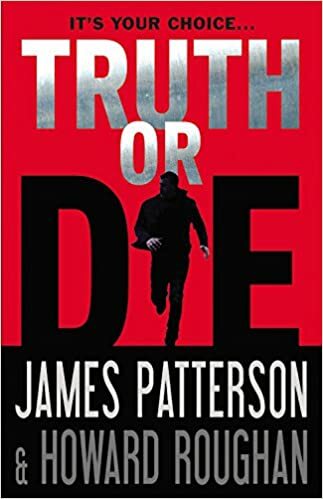 In the sequel to the #1 New York Times bestseller Confessions of a Murder Suspect, James Patterson keeps the confessions coming breathlessly as Tandy Angel delves deeper into her own tumultuous history and proves that she can rise above the sordid Angel legacy. Wealthy young women are being murdered on Manhattan’s exclusive Upper West Side, and the police aren’t looking for answers in the right places. Enter Tandy Angel. The first case she cracked was the mystery of her parents’ deaths. Now, while she’s working to exonerate her brother of his glamorous girlfriend’s homicide, she’s driven to get involved in the West Side murder spree. One of the recent victims was a student at Tandy’s own elite school. She has a hunch it may be the work of a serial killer, but the NYPD isn’t listening to her…and Tandy can’t ignore the disturbing fact that she perfectly fits the profile of the killer’s targets. Can she untangle the mysteries in time? Or will she be the next victim? Back in the city that never sleeps, Bennett takes over a chaotic Outreach Squad in Harlem, where he receives an unusual call: a man claims to have seen a group of well-dressed men holding a bizarre party in a condemned building. With no clear crime or evidence, Bennett dismisses the report. But when a charred body is found in that very same building, he is forced to take the demented caller seriously–and is drawn into an underground criminal world of terrifying depravity. Scarred by the deaths of their parents and accusations of murder, Tandy Angel and her siblings start a new life in Paris under the watchful eye of an uncle they hardly know. A born detective, Tandy discovers a locked room in her grandmother’s house that holds ugly secrets about her family’s treacherous past. WHO CAN YOU REALLY TRUST? As Tandy delves deeper into the mysteries, the stakes get dangerously high when her family’s enemies seek the ultimate revenge for long-ago sins. THE BRIGHT LIGHTS OF PARIS ARE ABOUT TO GO DARK.